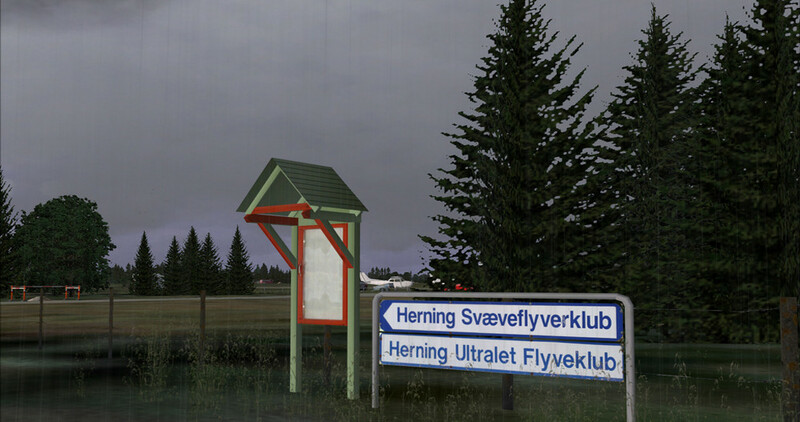 Herning is a small city in the Midtylland region of Denmark. It has a population of around 50,000 and is about 200nm west of the capital Copenhagen. Whilst only a small city in comparison to cities in the UK, Herning is the 11th most populous city in Denmark and is home to Scandinavia's largest exhibition hall. The city also has a small airfield which has now been brought to our desktops by the developers at Vidan Design. 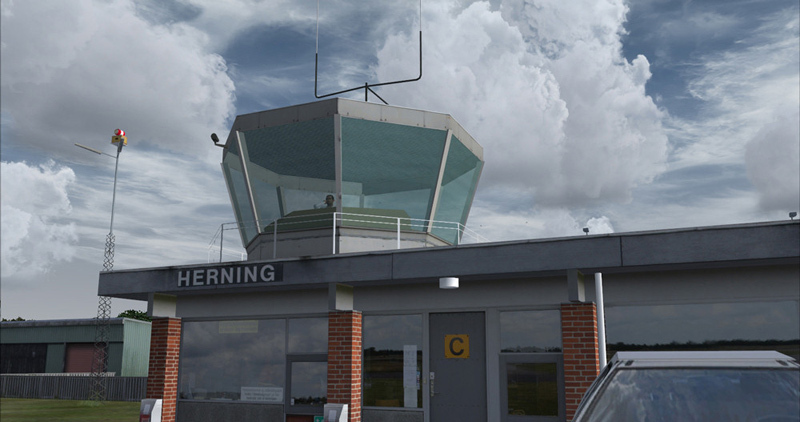 This airport is one of the busiest GA airports within Denmark and is home to several GA flying clubs and one of the most active gliding clubs in the country. 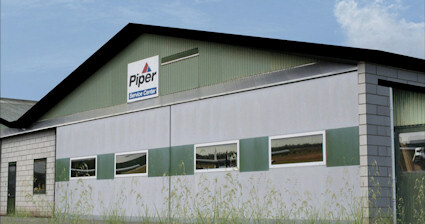 The airport has a 1,200 meter asphalt runway, a grass runway and a glider strip which runs parallel to the main runway. 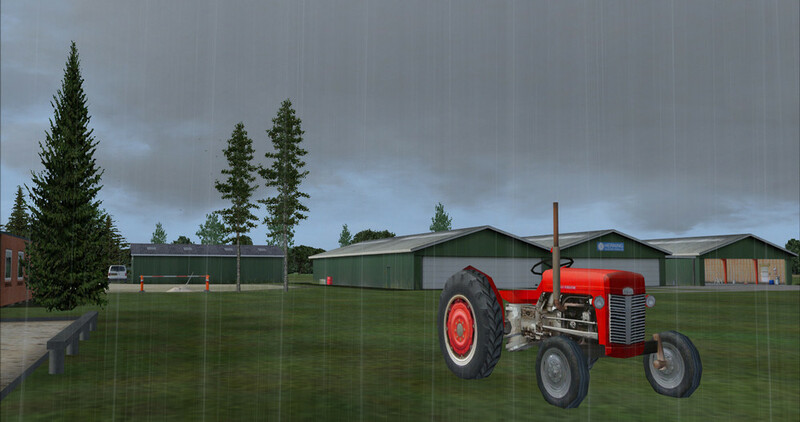 Installation of the add-on is very easy; download the file and run the installer, enter the serial number and then activate the scenery within FSX. 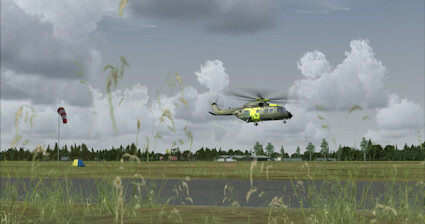 Windows 7 users will need to use a work-around to get the scenery to show in FSX, this is a well known bug that most of us will have come across. 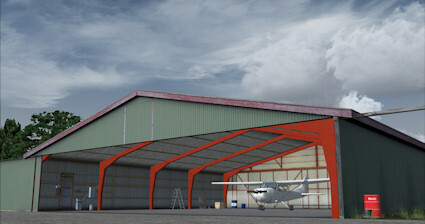 This short movie shows you how to do it http://www.youtube.com/watch?v=C8kO1IsJMuE Once the scenery is installed hop into your favourite GA aircraft and load up at EKHG. The scenery package makes use of high resolution textures, which are of a higher resolution than FSX will load by default, the manual walks you through the process to get the high resolution textures to load at Herning. During installation a seasons tool is installed which will allow you to switch between the summer and winter textures. Lots of developers are now including season tools and it's great to see a smaller developer adding it to their products too. 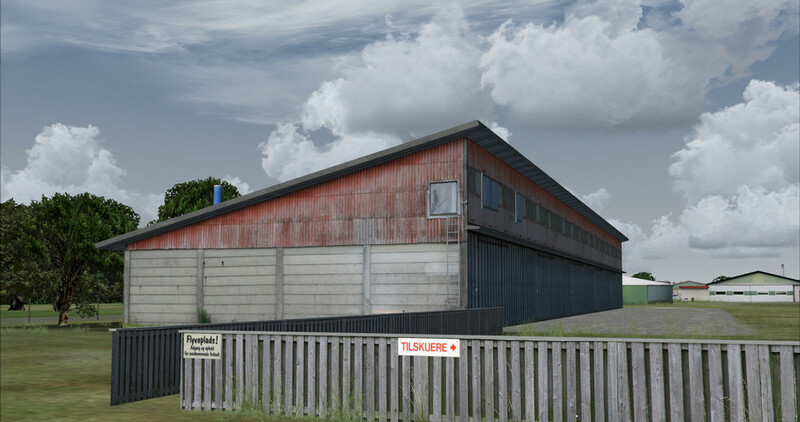 Previously I have reviewed Bornholm X by the same developer and the manual was the major let down with the whole package, basically there was nothing in it! 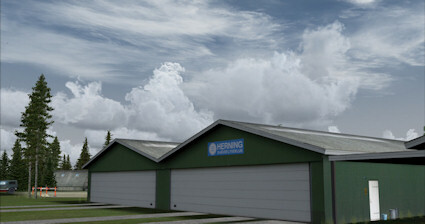 With Herning X the manual is much better walking you through the installation and set up process, although still without any mention of recommended scenery settings. This is a much better effort from Vidan Design and it looks as though some thought and effort has gone into this manual. 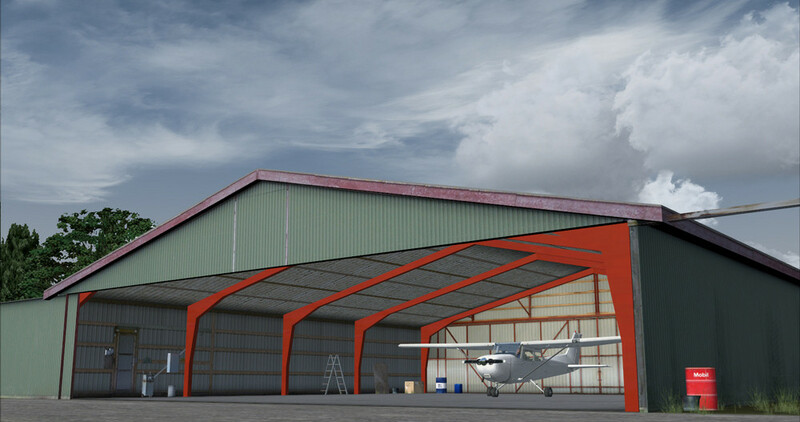 When loading up for the first time do so at either Parking 14 or Parking 15, this will place you inside one of the hangars. Turn on your battery and avionics, tune Nav 2 to 112.000MHz and wait....the hangar doors will open for you. A really nice touch which makes the whole pre-flight and taxi procedure much more fun. To close the door tune Nav 2 to another frequency. 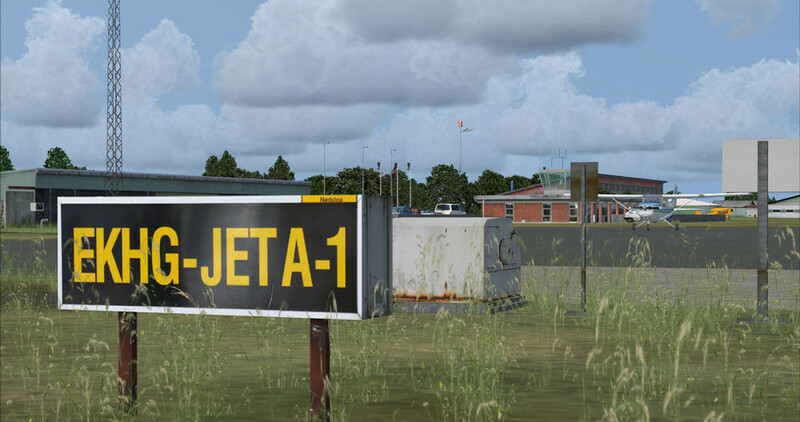 Whilst the airfield itself is only small there is quite a large area to explore with lots of buildings scattered around the scenery, they all combine to give the airfield a laid back and relaxed atmosphere. 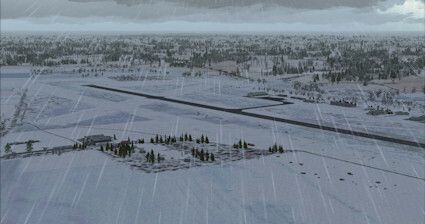 When I first loaded the scenery I spent about an hour taxing around before taking to the skies. The included buildings, whilst not jaw dropping, are of a good standard and had no impact on my system performance (bear in mind that I am using a fairly powerful system). 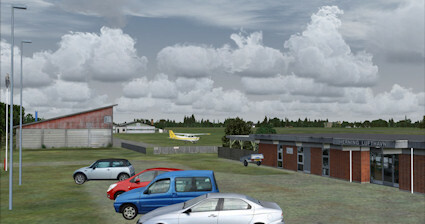 From what I can tell the buildings are a good representation of the real things, as is the whole lay-out of the airfield. 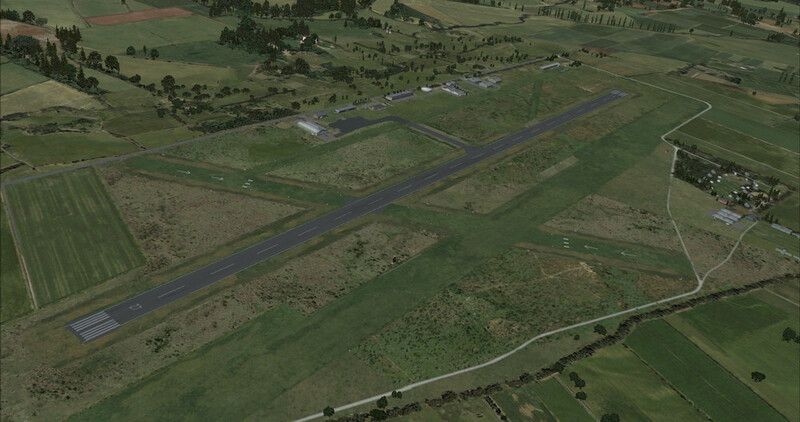 The runway textures are a massive improvement over the default offering from FSX and have a few cracks in them with grass growing through. 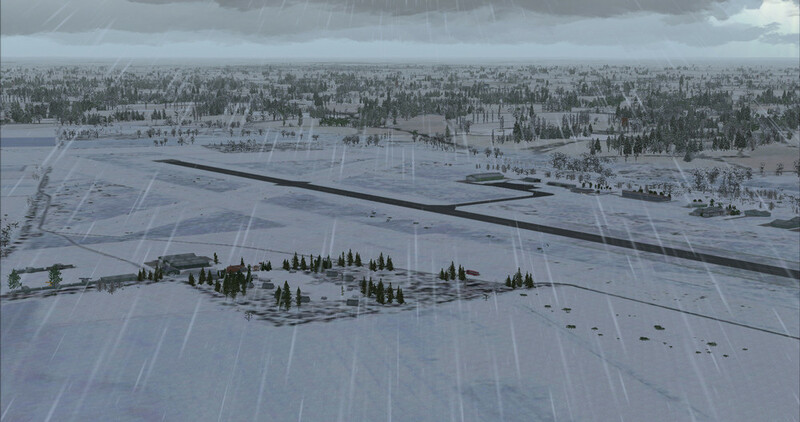 The included scenery area only stretches to the airport boundaries which leaves the very obvious change in scenery textures. The manual states that the scenery has been test with the freeware 'Denmark Scenery 1.3' package without any problems; installing this may reduce the obvious difference in textures. Once in the air the airfield is fairly easy to spot in clear weather, but if it is cloudy there aren't any navaids to guide you in. Slightly north of the airport is Karup Air Base which does have a couple of NDBs that you can make use of if the clouds come in; fly to the NDB and then directly south for a couple of miles. 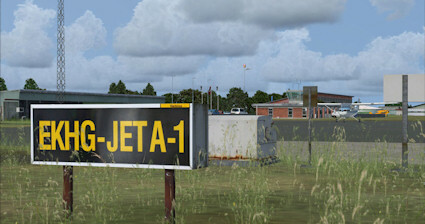 I turned up the GA AI percentage of Ultimate Traffic 2 to 100% and found that the airfield became a busy place. If you plan to use the airfield as a base you should be able to make your own traffic too. I did notice that some of the AI aircraft seemed to take on a mind of their own when taxing. One aircraft left it's parking spot and taxied across the surrounding fields and never returned, it just kept on going. 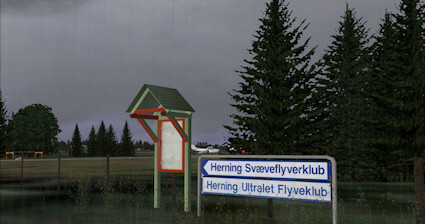 Herning is not a massive airport and is aimed directly at those who prefer GA flying. 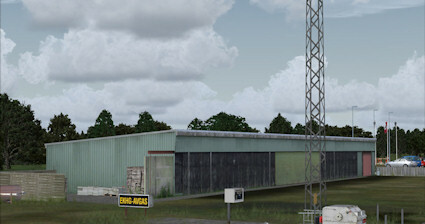 Whilst not as high quality as Orbx add-on airports (which is reflected in the price) the quality is spot on for the asking price of €9.95/£8.25/$13.17. 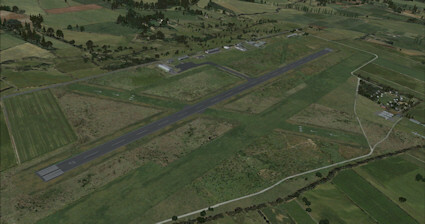 It's a charming little airfield that I have enjoyed exploring.